We Want You to Join our Growing Practice! Patients in pain are seen as quickly as possible! Our highly-trained staff stay current on the latest advancements in dental care. We offer a range of dental services in a digital environment including Cleanings, Fillings, Root Canals, Crowns, Bridges, Extractions, Veneers & Implants. We have a permit to provide sedation with the use of laughing gas and/or medication. Our clinic only uses Digital X-rays! Why spend time looking at our Website? We'd like to introduce you to our Dental Practice and to provide comprehensive reference information about oral and dental health. If you looked us up because you have jaw pain, sleep apnea, toothpain or tooth ache, a lost filling, a cavity, a chipped, broken or cracked tooth or want to have your dental hygiene appointment with us, we invite you to browse our site and search for information to answer questions you may have. You can also always call us and we will do our best to provide you with the information you require. 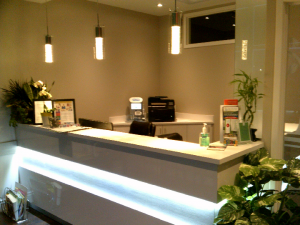 Whether you found us looking for answers to specific dental questions; or, if you are looking for a new regular dentist serving Bolton, Ontario and it's surrounding communities; we hope our website informs you about our office, staff and dentists as well as answers your dental questions or concerns.